Get moving with 5 minutes of yoga every day! April 5th, 2019 marks the 4th Annual Kids Yoga Day! Kids Yoga Day is held on the first Friday in April and was founded to bring the powerful benefits of yoga to children. Children from all over the globe will participate in a 5-minute yoga routine at 11am. With 5-minutes of yoga a day, not only do kids get the physical benefits of exercise, but they learn the importance of routines. Kids yoga has also been shown to improve focus, self-esteem and can reduce stress and anxiety. 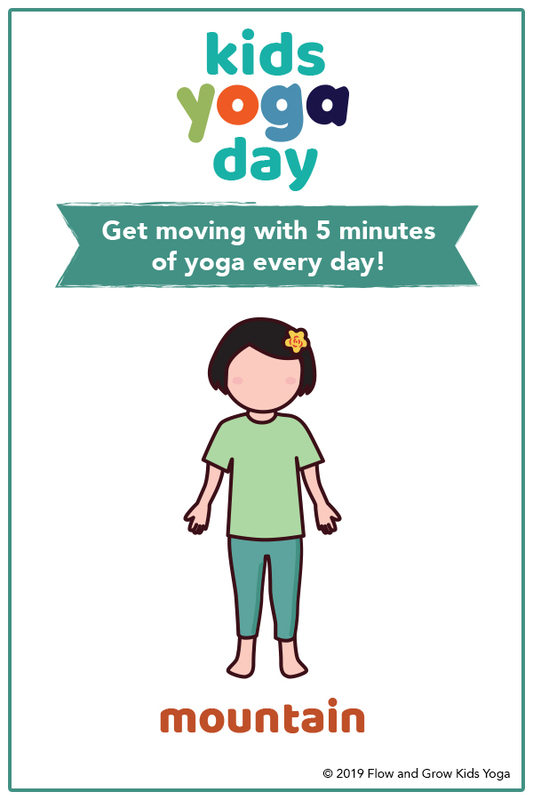 To celebrate Kids Yoga Day, we created a simple and easy-to-learn yoga sequence for your little ones! Children love to feel like they are part of something bigger–so we like to remind them that kids from all over the world are doing yoga with you! Mountain: stand tall, strong and proud in mountain. Chair: from Mountain, sit down in your chair. Bring your arms up high above the sky. Forward Fold: slowly, fold down, rounding your shoulders and bending your back forward one vertebra at a time. Bow: come to your belly and bend your back, forming a beautiful bow! Triangle: from bow, let’s make a triangle with our bodies. Rainbow: stand up tall, and bend slightly to the left and then to the right. Form a rainbow! 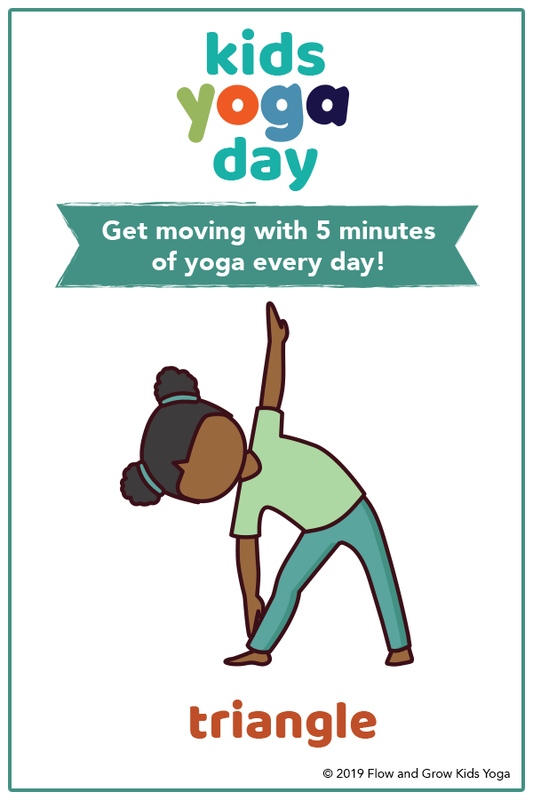 Download our Kids Yoga Day Poster! For more information about Kids Yoga Day, or if you are interested in becoming an ambassador, click here to learn more from the founder of Kids Yoga Day! If you found our resources helpful, would you consider a donation?